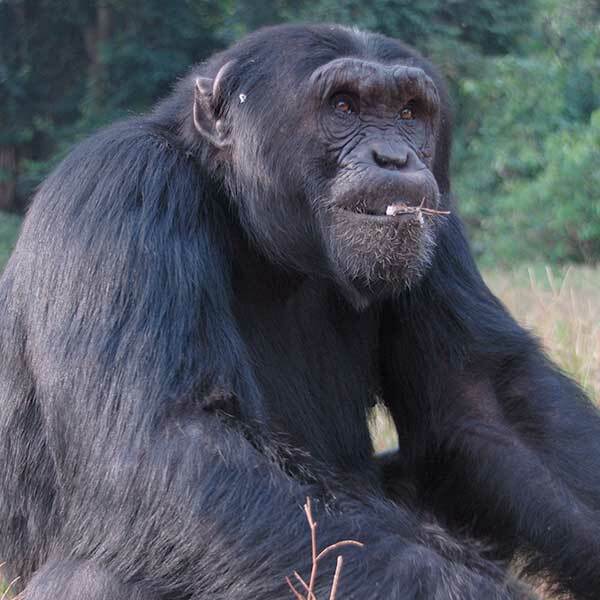 My name is Kisembo and I arrived at Ngamba in 2000 after being confiscated from the back of a bicycle! Even though I am not a large male, I like to throw my weight around and will sometimes pick on the females. I like to play with my caregivers by taking a long time to leave the holding facility in the mornings.